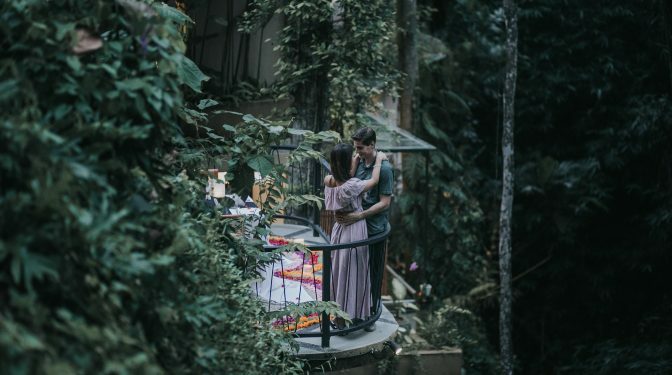 The Sankara Suites & Villas is a peaceful retreat weaved in the heart of nature and lavish tropical garden, elegantly located just 10 minutes away from the Ubud center. The suite is inspired by the needs of a sumptuousness hideaway where guests are pampered by exclusive services and facilities in a total privacy. This home-away-from-home resort presents 29 suites and villas sophistically designed in an exotic Balinese architecture with breathtaking view over a valley. Complemented with high-end quality of infinity pool, restaurant, gym, yoga pavilion, and spa, the resort offers nothing but pure relaxation of an ultimate intimacy. As one of the premium brands of The Pramana Experience management, The Sankara Suites and Villas determination to satisfy all of your senses in a discreet and subtle manner makes it the perfect escape for a romantic hideaway or a once in a lifetime experience. Sankara is a Sanskrit word derived from the element of “sham” means auspicious or lucky, and “kara” means maker. Some interpret is as ‘Sang Kala’ which means the signal of life. Sankara is symbolized by a conch which heaves tranquilizing sounds when blown. In Balinese tradition the conch is used in purification ritual for its power to neutralize any negative energy and creates peaceful ambiance. In the epic story of Mahabharatai t is said that Lord Krisna used the conch to mark the beginning and the end of the war. The resort was built in Balinese architecture, emphasizing natural finished teak wood and stones, taking the guests a sweet journey back to the ancient Bali with its textures, colors, smooth unpainted woods, and dressed slate, all in the harmony with Mother Nature. The Sankara Suites and Villas offers spacious suites and villas, completed with thoughtfully designed facilities. Cupid has been shooting arrows to ignite the flames of love between you and your loved one. Savor its magic with this special package. Let the romance sparks in the most exclusive resort of Balinese hospitality where the first most important hallmarks of your marriage start. Enjoy two nights stay in our exotic accommodation romantically decorated to lift up the mood, an unforgettable romantic dinner, the special Exotic Honeymoon spa package by The Radha Spa, and return airport transfers. Take time out of busy everyday life and immerse yourself in a state of total bliss in our relaxation package. 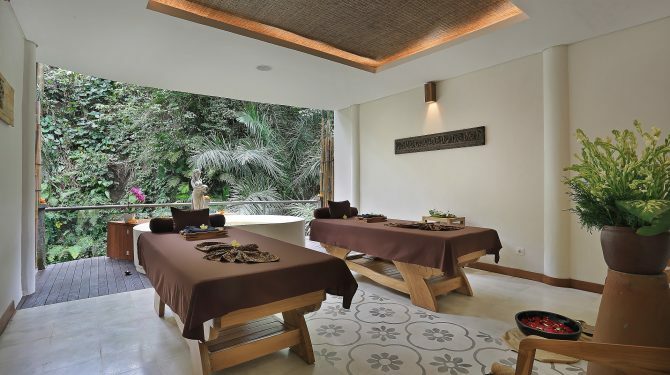 Revitalize your system and enhance your well-being as you spoil yourself with indulgent Balinese massage for two persons. Take advantage of the peaceful surroundings during your two nights stay in our suite, completed with a special Asian fusion dinner. To achieve ultimate relaxation, all you need is book the ticket then just sit back and relax as we will also arrange your airport pick up transfers. Unearthing the soul, the language and, ultimately the people of a destination is the most rewarding aspects for those who travel. 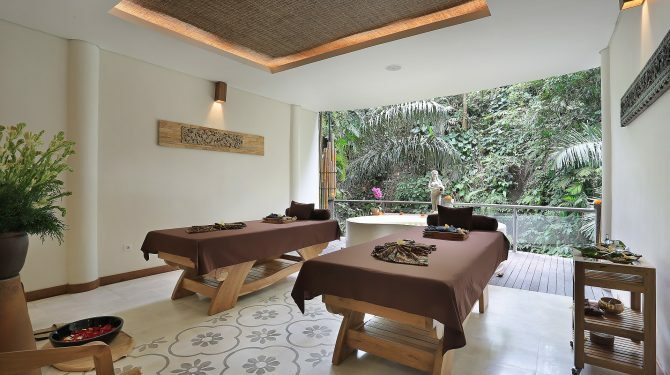 This special package allows you to dip your toe into the depth of Balinese culture. 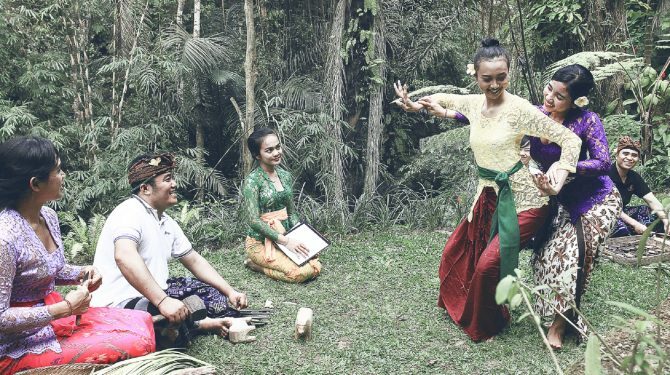 Enjoy two nights stay in one of our hand-decorated suites, witness the richness of the culture at the traditional Balinese performance, and explore the flavor of the island in a special authentic Balinese lunch. 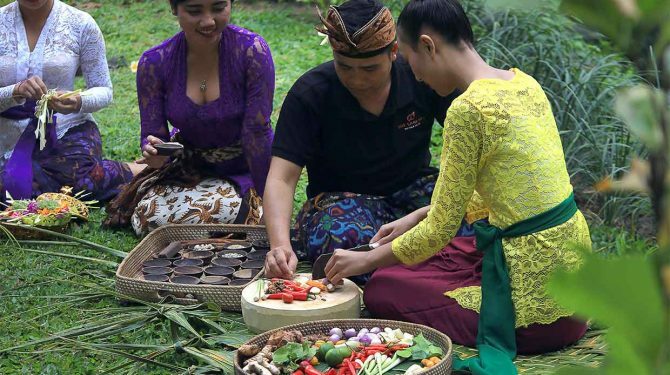 A special package for our epicurean guests to get first-hand experience on an authentic Balinese cooking practice where you will be leaded through spices and herbs that made Balinese cuisine one of a kind. 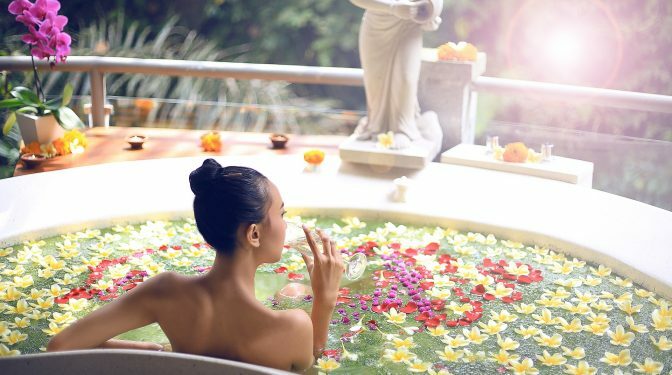 Including a wonderful two nights stay in our suite, Balinese spa treatment for two persons, and a one-way airport transfer; this package should not be missed. A fairytale beginning for those who dream for a perfect wedding in an exotic island. 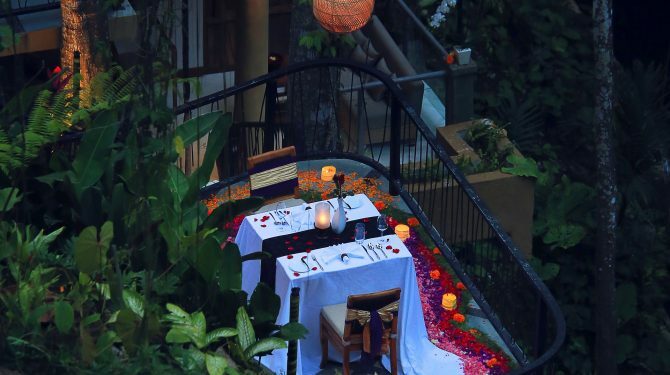 An exquisite detailed package includes Balinese Wedding Blessing, three nights stays in a romantically decorated suite, authentic Balinese bride & groom dinner, romantic Tantra Spa Package by The Radha Spa, and return airport transfers.